On location photography is offered by Emi Komagata Lam. A Sydney based photographer with over 10 years experience in Japan and Sydney Australia. She has held photographic exhibitions in Japan,Tokyo,Kyoto and Osaka. 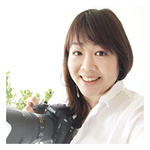 She has been featured in Japanese professional photography magazines and articles. You will find the photo session is very relaxed and easy going. Photo shoot is offered in both English and Japanese languages. Photo shoot style can be personalised to suit customers requirements. Her goal is for people who are involved in the photo session to have fun..
copyright (C) 2018 ラパンデザイン　Lapin Design all rights reserved.